Amazon.com, Inc. (NASDAQ:AMZN) CEO Jeff Bezos topped the recently announced Forbes 2018 Billionaires list for the first time. Per Forbes, Bezos is worth $112 billion, up $39.2 billion from 2017, the biggest one-year gain in the list’s history. Amazon’s strong share price movement driven by impressive performance has been a key catalyst behind the massive rise in Bezos’ wealth. 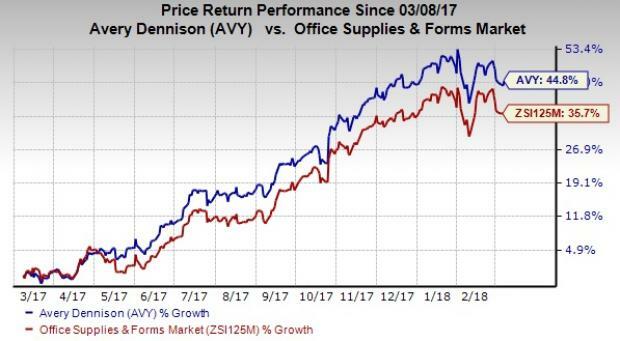 Amazon carries Zacks Rank #3 (Hold) and has returned 81.6% in the past year, significantly outperforming the industry’s rally of 66.5%. 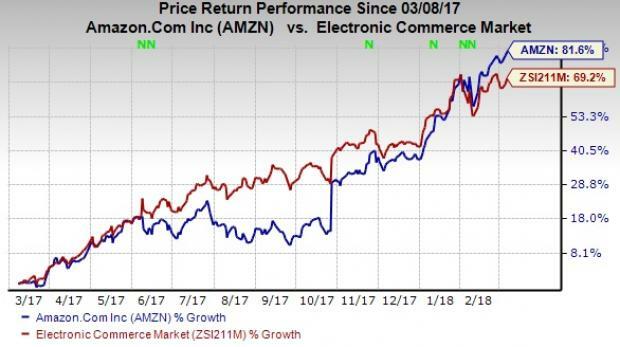 Amazon is primarily benefiting from sustained momentum in Amazon Web Services (“AWS”) and its ubiquitous presence in retail. AWS generates much higher margins than retail, positively impacting Amazon’s profitability. Moreover, the retail business remains very hard to beat on price, choice and convenience. Moreover, the Whole Foods acquisition has helped the company rapidly penetrate the grocery segment of the brick-and-mortar stores. Further, increasing number of paid Prime members is positive. Additionally, we believe that Amazon’s strategy of diversifying footprint into healthcare and financial services bodes well for its CEO and shareholders in the long haul. Although entrepreneurship is the best possible way to become a centibillionaire like Jeff Bezos, it is not everyone’s forte. It is here that the Zacks Style Score System can come in handy. We use the Zacks Growth Style Score to pick stocks. Our Growth Style Score condenses all the essential metrics from a company’s financial statements to get a true sense of the quality and sustainability of its growth. Our research shows that stocks with Growth Style Scores of A or B when combined with a Zacks Rank #1 (Strong Buy) or 2 (Buy) offer the best investment opportunities in the growth investing space. Moreover, we prefer large caps (more than $5 billion) due to their fundamental strength and stability. Each of the below mentioned six stocks has Growth Style Score of A, which make them solid buys for growth-focused investors. 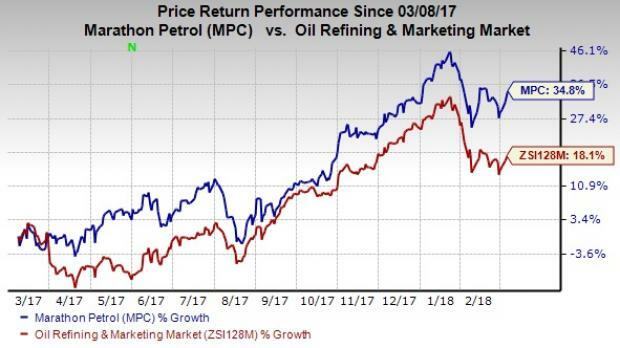 Findlay, OH-based Marathon Petroleum Corp (NYSE:MPC) is a leading independent refiner, transporter and marketer of petroleum products. This Zacks Rank #1 stock has a market capital of $31.58 billion. The stock has returned 34.8% in the past year, outperforming industry’s rally of 18.1%. Moreover, Return on Equity (ROE) is 9.90%, better than industry’s 6.86%. ROE is an important metric for growth oriented investors as it reflects management efficiency. Higher ROE indicates a company’s ability to generate profit without needing further capital infusion. Best Buy Co Inc (NYSE:BBY) operates as a retailer of technology products, services, and solutions in the United States, Canada, and Mexico. The stock sports a Zacks Rank #1 with a market capital of $18.64 billion. 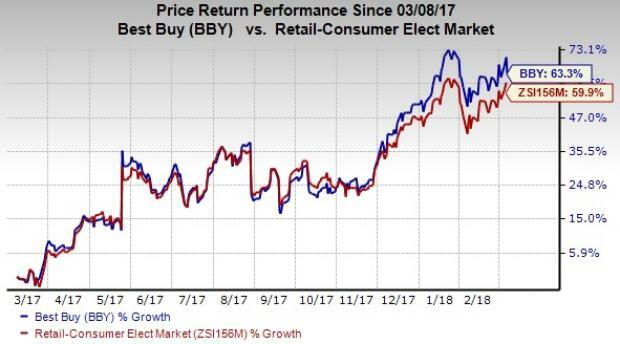 Best Buy shares have returned 63.3% in the past year, outperforming industry’s rally of 59.9%. Moreover, ROE of 32.68% is significantly better than industry’s 14.07%. Known as “Apple of Oil” Houston, TX-based EOG Resources Inc (NYSE:EOG) is a major independent oil and gas exploration and production (“E&P”) company. As of Dec 31, 2017, the company’s total estimated net proved reserves rose 18% year over year to 2,527 million barrels of oil equivalent (MMBoe). 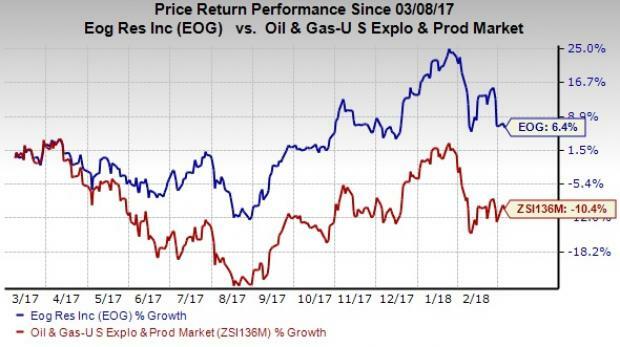 EOG has a Zacks Rank #2 stock and a market capital of $57.61 billion. The stock has returned 6.4% in the past year compared with industry’s decline of 10.4%. Moreover, ROE of 4.47% is better than industry’s 1.46%. 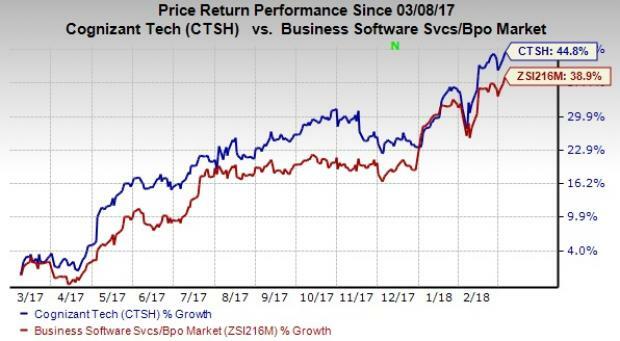 Headquartered in Teaneck, NJ, Cognizant Technology Solutions Corp (NASDAQ:CTSH) is a leading provider of information technology, consulting and business process outsourcing services. The stock has a Zacks Rank #2 with a market capital of $42.34 billion. The stock has returned 44.8% in the past year, outperforming industry’s growth of 38.9%. Moreover, ROE of 19.94% is better than industry’s 15.06%. 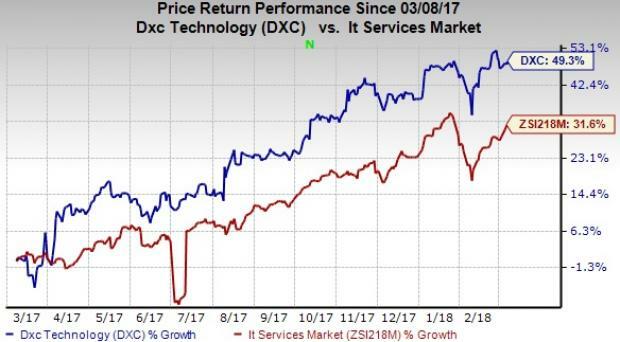 Tysons, VA-based DXC Technology Company (NYSE:DXC) is the world’s second-largest end-to-end IT services provider. The company has nearly 6,000 private and public sector clients across 70 countries. This Zacks Rank #2 stock has a market capital of $26.87 billion. The stock has returned 49.3% in the past year, outperforming industry’s rally of 31.6%. Moreover, ROE of 17.97% is significantly better than industry’s 7.91%. Headquartered in Pasadena, CA, Avery Dennison Corp (NYSE:AVY) produces pressure-sensitive materials, and a variety of tickets, tags, labels and other converted products. The stock has a Zacks Rank #2 and a market capital of $10.06 billion. The stock has returned 44.8% in the past year, significantly outperforming industry’s rally of 35.7%. Moreover, ROE of 42.26% is much better than industry’s 15.23%. Article printed from InvestorPlace Media, https://investorplace.com/2018/03/6-top-ranked-stocks-jeff-bezos-like-rich-ggsyn/.